Delayed drilled crops that were slow to emerge - followed by wet and cold slow start to spring - has made rooting a priority for PGR treatments on Brickhouse Farm, Peldon this season, according to milling wheat grower, Robert Davidson. 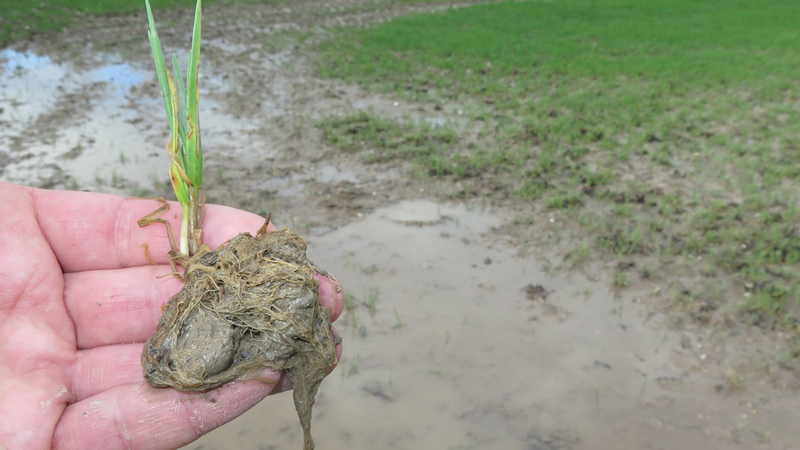 Wet soil conditions has severely affected rooting capability for many growers across the eastern and northern counties, as well as Scotland – particularly on later sown crops. With spring activities now set to resume, as soil temperatures rise and start to dry out, tailored PGR programmes could prove particularly effective this season to manipulate plant development that will enhance rooting, encourage tillering and prevent lodging. 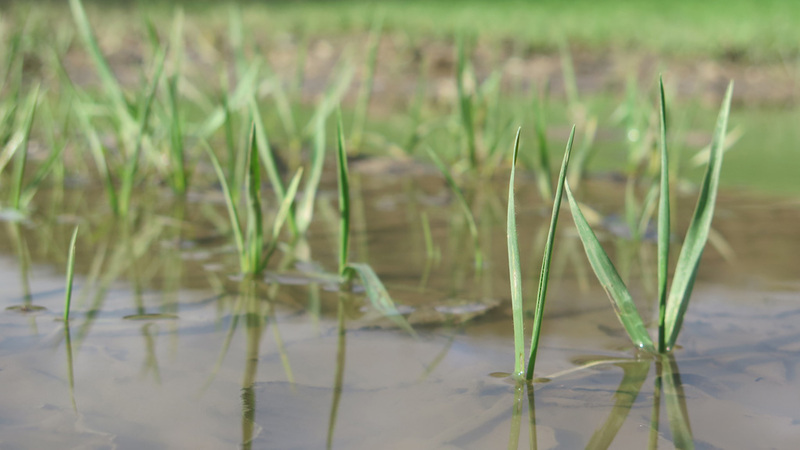 Poor rooting could limit the crops’ ability to utilise water and nutrients, as well as increase the risk of plants lodging before harvest. Essex milling wheat growers, Robert Davidson (top) and farm manager, James Faulkner, held back drilling dates to increase chances for black-grass control on the heavy clay Brickhouse Farm at Peldon near Colchester – an area renowned for its black-grass burden. They increased seed rates to help compensate, but with the exceptionally dry late-season conditions emergence was protracted – with some plants still emerging at Christmas. 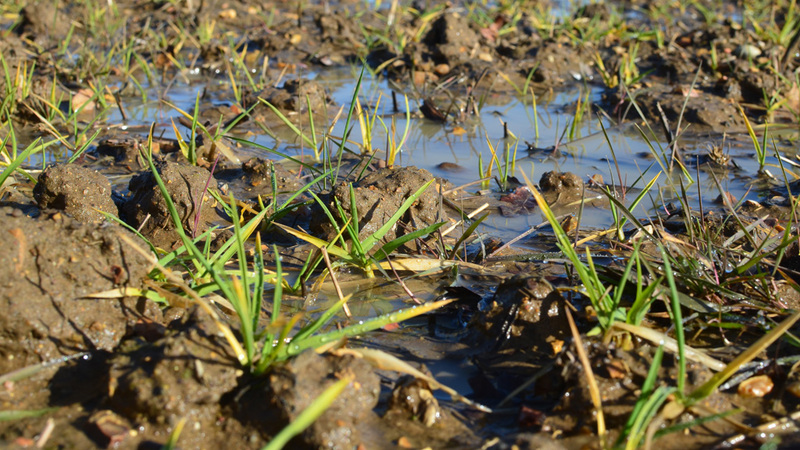 In the subsequently wet conditions, rooting on smaller plants is now a key concern, reported James Faulkner. “We use variable seed rates and variable N application that can help to manage the lodging risk, so we can now focus PGR applications on the crop effects to create the best possible plant architecture for the season,” he advocated. “This year we are looking to promote rooting as much as possible and, where we have more variable plant stands, encourage tillering at the T0 application timing.” Variable rate N is useful to manage thick crops, but it can’t get a thin crop to tiller out, he pointed out. A keen advocate of precision farming, they have been utilising satellite mapping and variable inputs for six seasons, with targeted application of appropriate PGR programmes tailored to specific fields and risks now a logical next step. Armed with the knowledge of current crop growth from satellite maps – typically a GAI of 0.4-0.8 on a continuous wheat, but up to 1.1 and averaging 0.75 for a wheat after peas, for example – he can use the InSpire on line PGR calculator to assess potential splits and rates for PGR treatment this spring. Both Crusoe and Skyfall, his most widely grown varieties, have similar variety characteristics, but although the Crusoe is slightly shorter - at 80 cm compared to 83 cm - variety profiling work by Harper Adams University has indicated it shows less basal strength, compared to Skyfall. Taken together, and in their specific situation of location, soil type and drilling dates, the InSpire tool suggests a priority for Moddus as the initial T0 treatment, at 0.15 /ha, followed by a lower risk at the later T1 timing - with reduced Moddus at 0.1 l/ha plus CCC 750 at 1.0 l/ha. Since the other variety grown, KWS Zyatt, is slightly taller and has a NIAB-rated lower resistance to lodging, InSpire suggests that a slightly higher rate of Moddus at the T1 timing would also be justified. “The on-line tool does appear useful in helping to suggest an appropriate does for different field situations,” he said. “It looks realistic in backing off the dose rates with later applications where that may be possible. Mr Faulkner added that he has also used Moddus widely on the farms’ forage rye crops. They are typically drilled early at relatively low seed rates, but where the PGR is utilised to strongly encourage tillering and build up the biomass of the crop – an asset that could be very usefully employed in wheat crops this spring.